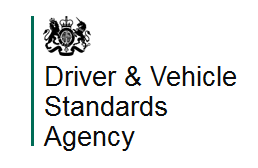 Hi, my name is Brian Stephenson, I have been a fully qualified DSA approved driving instructor since 2005 and have earned the Top Grade in recent tests taken. During this time I have successfully taught people of all ages and abilities. I cover the Lancaster, Morecambe & Heysham areas. I am a very easy going person and take a relaxed approach to teaching whilst making sure you progress as fast as your needs require! Your goal is to become a safe, competent driver & to pass your test, this is also what I want. I have a great pass rate which is well above the national pass rate. I provide weekly lessons, intensive & semi intensive courses if you want to get your test done more quickly, refresher lessons, motorway lessons. I also cover the pass plus course which includes motorway driving for after you have passed your test. You will learn to drive in a new manual Kia Rio fitted with dual controls. I am the first to admit I’m not the cheapest instructor nor anywhere near the most expensive but i will give quality lessons to suit your needs & will put you in for your test as soon as your ready. I am not one that will keep you doing extra lessons for no reason. if you require any more information about lessons or courses don't hesitate to call me on 07793715070 or send me an email via link alongside. Prices page is below.